My pc has been booting straight to bios recently and I thought it was probably because my pc wasn't using one of my storage devices. Turns out they both work but only one can be used at a a time(?). Both work fine but only one can be recognised and used at a time. 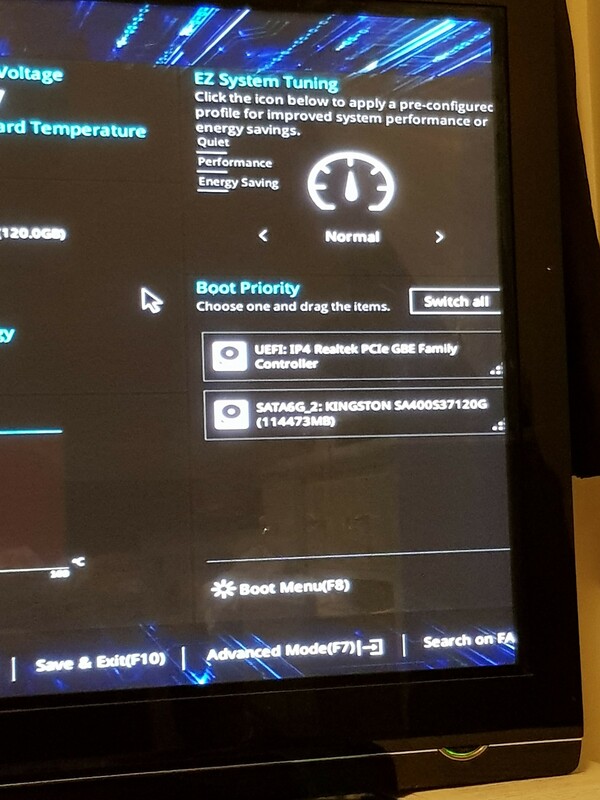 Whenever I use one, my pc tells me to plug in the other one and when I only use the other it says 'undoing changes made to your pc' and then goes straight to BIOS. I'm desperate for some help. Anyone? It seems it recognises them but doesn't want to use both at the same time. It should be said that I have a faulty 2080ti plugged in. Could this be part of the reason? Should I try swap my psu? A faulty GPU shouldn't do that...although it could. Have both drives plugged in, run a check, if crystal disk finds both drives then it may be a windows issue. If not then it could be a variety of faulty hardware ranging from a bad MOBO to psu hdd power cables. Oh and I guess this should be said too in case its a "oh duuuh" moment. You can only boot using 1 Drive, you can access the other drive via file explorer but you can't boot both devices at once. large HDD for games and programs. Question Storage Spaces "prepare for removal"
Question system reserved is taking up 178 gb worth of storage! Question Why is my disc storage constantly going down?! Cleared storage on PC, restarted it, now I cant use windows.